Making your own fish cakes is a no-brainer. 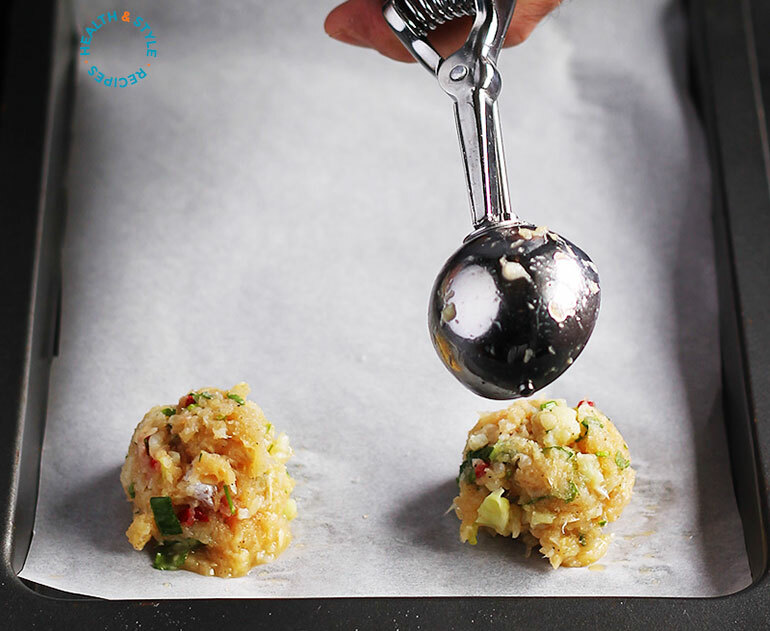 Quick and super easy to make, these healthier, lighter, and seriously tasty fish cakes will beat any pre-made, shop-bought alternative. 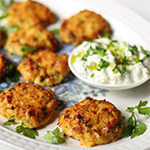 Fish cakes are also very versatile, and a great way to use leftover fish. Instead of using mayonnaise to keep these fish cakes moist, this recipe uses egg to provide moisture, which massively cuts the calorie count. To make the recipe healthier we use olive oil – a healthy unsaturated fat – instead of butter or other vegetable oils high in saturated fat. To lighten up these fish cakes further, but still keeping it seriously tasty, we oven bake the fish cakes instead of the traditional method of deep-frying them in fat. 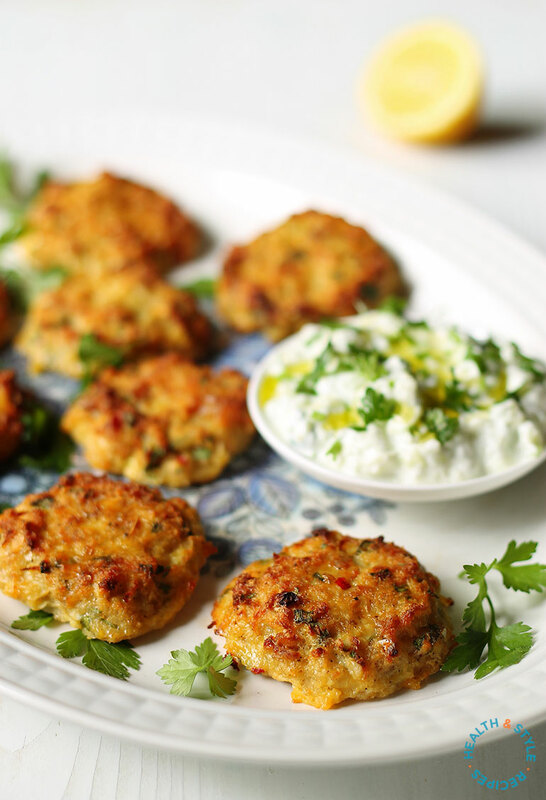 Quick and super easy to make, these healthier, lighter, and seriously tasty fish cakes will beat any pre-made, shop-bought alternative. Pat dry the fish fillets with a paper towel. With a sharp knife finely chop (almost mince) the fish fillets. Place the chopped fish, egg, tapioca flour, parsley, chili, spring onions, lemon juice, grated ginger, garlic, olive oil, salt and pepper in a bowl and use your hand to combine. Line a baking tin with parchment paper. Using an ice cream scoop, make small (about 2 inch) balls and set them on the baking tin. Slightly flatten the balls with your hands and bake on the middle rack for about 20- 25 minutes or until lightly golden.